She ended the letter by telling me her name. I asked my mother about that period. “He delivered a whole show of ballerinas, even though the gallery had been expecting landscapes,” she said, a smile of recollection spreading into her cheekbones. It was the early 1970s and my parents had just moved to their seaside town. They met Margaret Perry, the owner of her eponymous ballet school, through the young father who had sold my parents their house. His children were aspiring ballerinas. 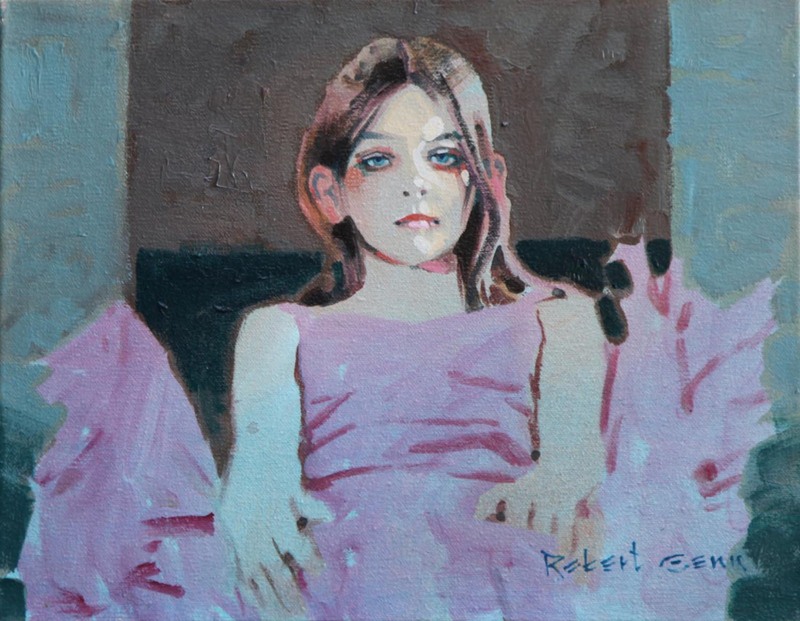 I pictured my dad as he followed an urgency of inspiration, travelling the path of other painters who have explored the timeless subjects of childhood, movement and classical beauty. 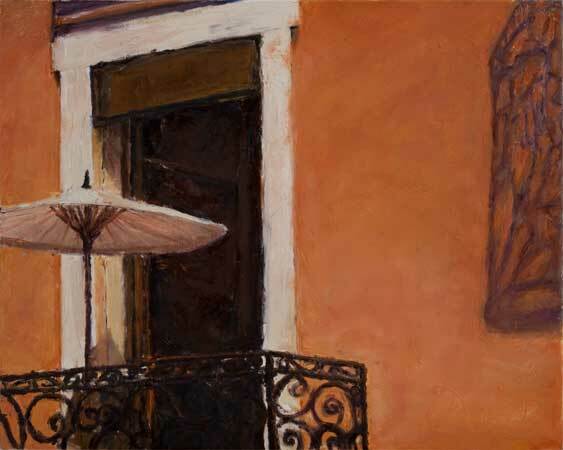 It was as if he had discovered, in his own new backyard, a life-class in real time. Newness and unique learning often accompany such a diversion of subject and inspiration. 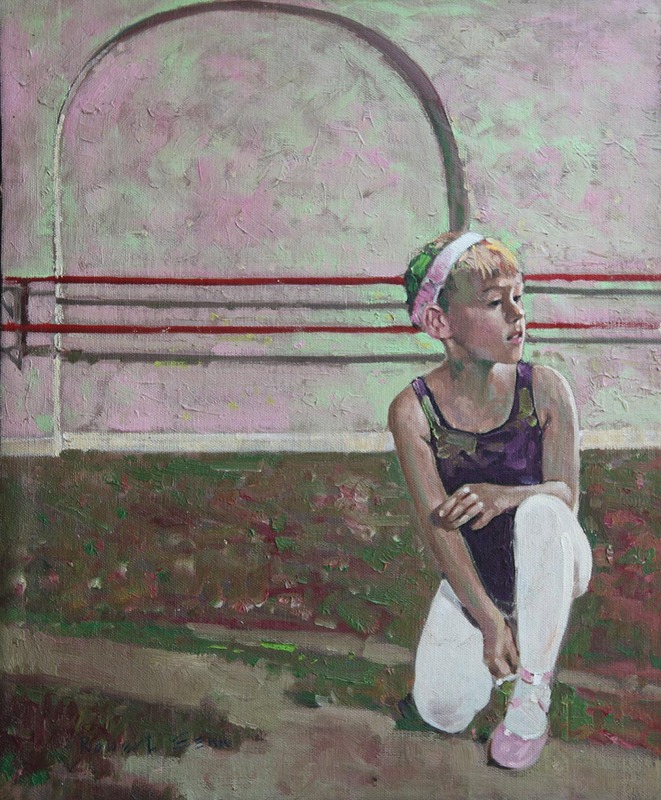 Esoterica: Ten years after the ballerina show, my dad was again invited to gather painting material at another local dance school, where I was a young student. A small dancer portrait sketch from that period was recently given by my mother to the parents of one of my classmates, now lifelong friends. This year, my niece Zoë will perform as part of a local production of The Nutcracker. 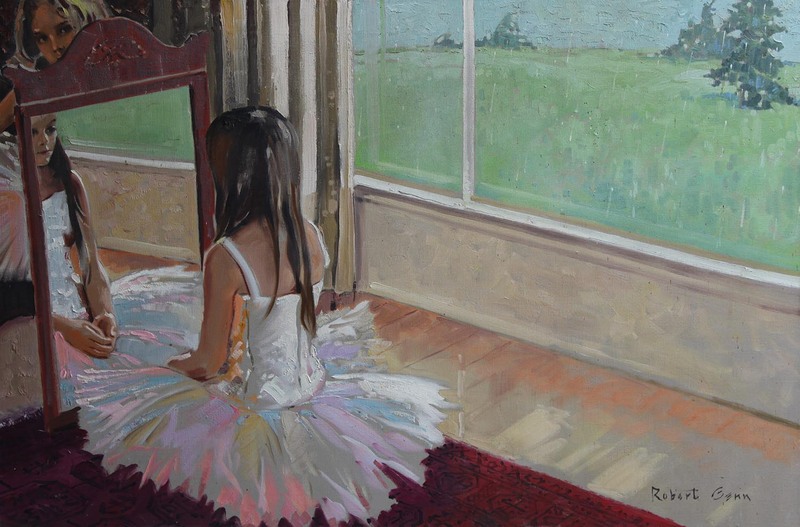 If Dad were here, he would surely return for a moment to painting ballerinas. What a lovely personal story. 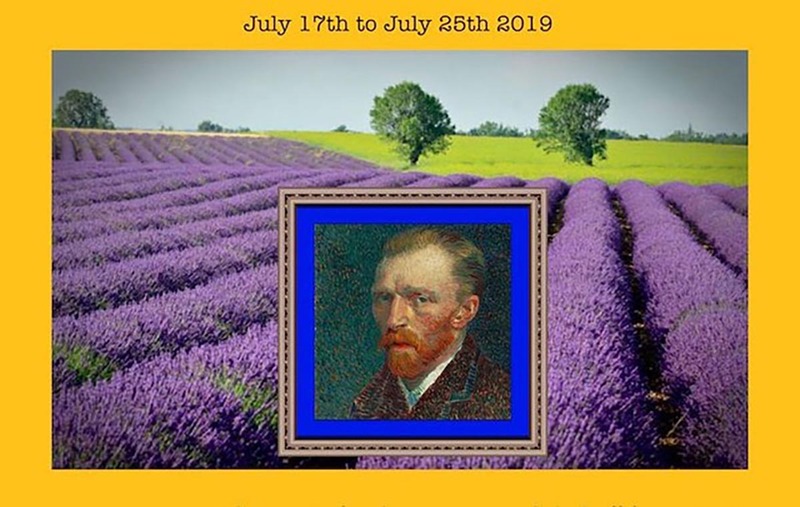 and what a great way to feature your father’s skills in portraiture and figures. It is not a given that all landscape painters have these skills. He was one of the few. It is inspirarional for me as I often sketch restaurant patrons when I eat by myself. Practice is the key, as in all art. And the everpresent sketch booklet is iessential. I love that story Sara – when I was at school, there was a young student there who spent all her spare time at the bars in the gym. She was devoted to becoming a ballerina and she inspired me by showing me that you can aspire to attain your dream – all you need is perseverance and dedication! A ballerina’s life is not an easy one but it is very rewarding. Your letters are so inspirational, thanks Sara. Ok, I can’t be the only one wondering…did you find the painting of the letter-writer? Thank you for asking! I’m also wondering…. I wondered also if the girls painting was found or a photo sent to her. Lovely words, Sara! Thank you. A beautiful memorable story, a very personal sharing, thanks! 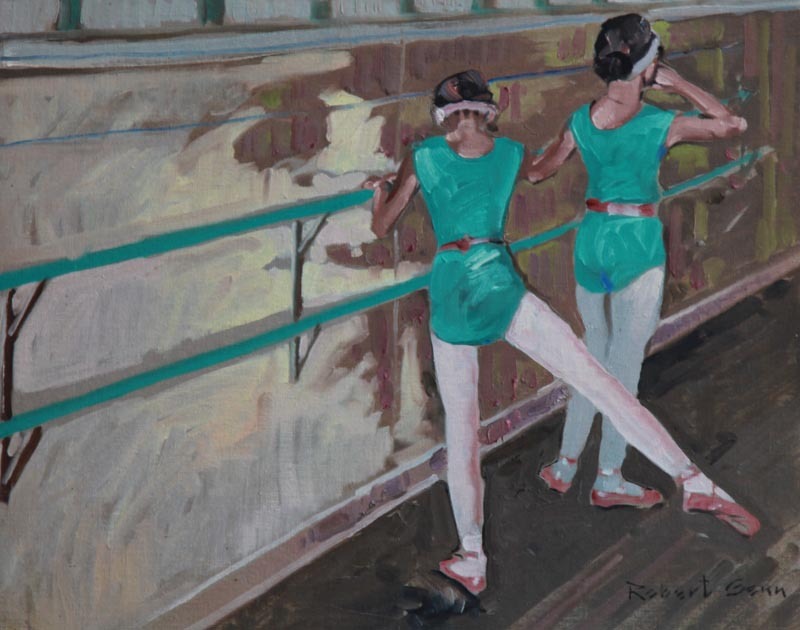 Love Roberts paintings of the ballerinas too! Ahaaa, yes, ballerinas who have such grace and fluidity. Of course, along with their movements comes wonderful music. I especially like the classical music and classical dance movements of these two traditional genres together. 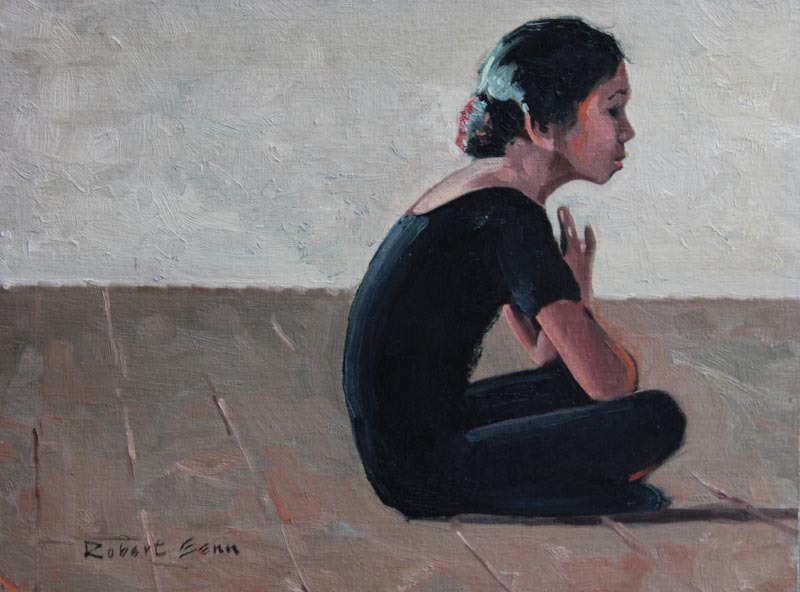 Thank you, Sara, for sharing your dad’s paintings with the dancers. It does take me back to my days of studying ballet….what a memorable time in my young life. Great story!! You are a fantastic person and the best daughter Sara! Although I loved your Dad’s landscapes the ballerina paintings showed the tenderness of his soul. They are beautiful.